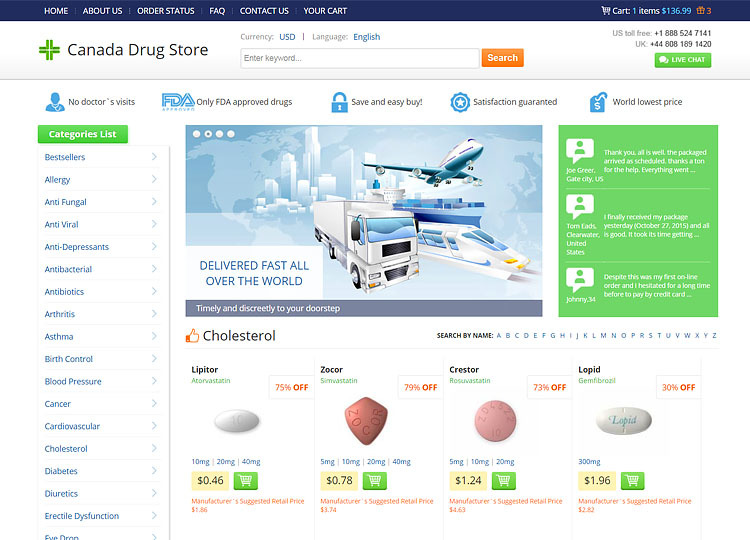 The domain name record can often provide some interesting information about an online pharmacy. For this store’s domain name we can see that it was created just last year. 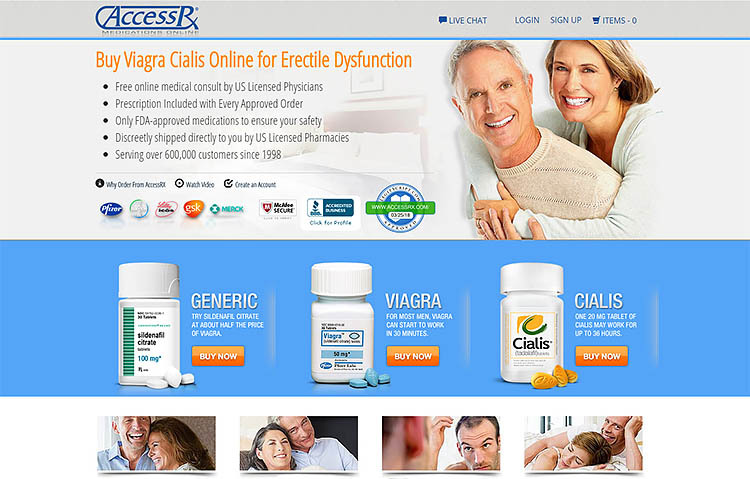 Website addresses which haven’t been around for very long is a pattern often found with scam pharmacies. The person who registered this domain has used a Chinese registrar. Contact information is provided in the record and this would seem to be good as privacy services are frequently used to hide the ownership of the site. The owner’s details give a name and address in New York, USA. However, when we check these details we run into a problem. The address doesn’t exist. The ZIP Code is for Lower Manhattan, New York, but there isn’t a Fieldcrest Road found. The owner of this site has made up fake details when they registered the domain name. It is likely that the rest of the information is fake too. Fake information isn’t allowed and if reported the domain can be suspended. This online store is using the domain name Discount-Tabs, but strangely the logo used on the site is completely different. 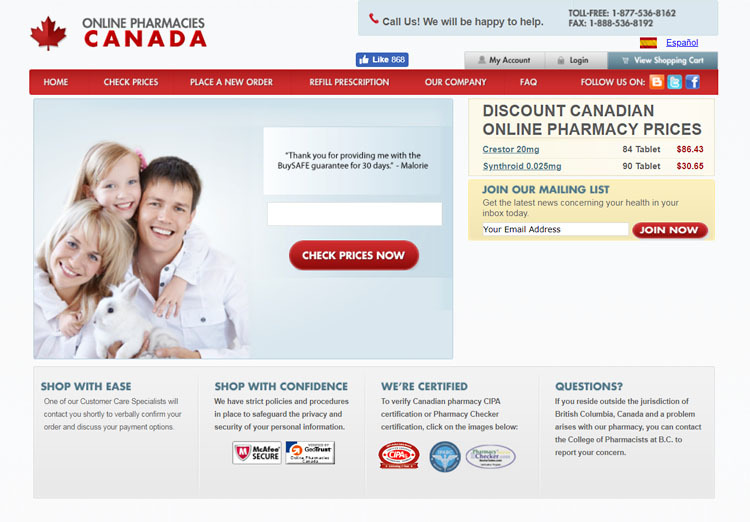 The site logo says “European Pharmacy Shop” and we have seen this logo and store before using different domain names. 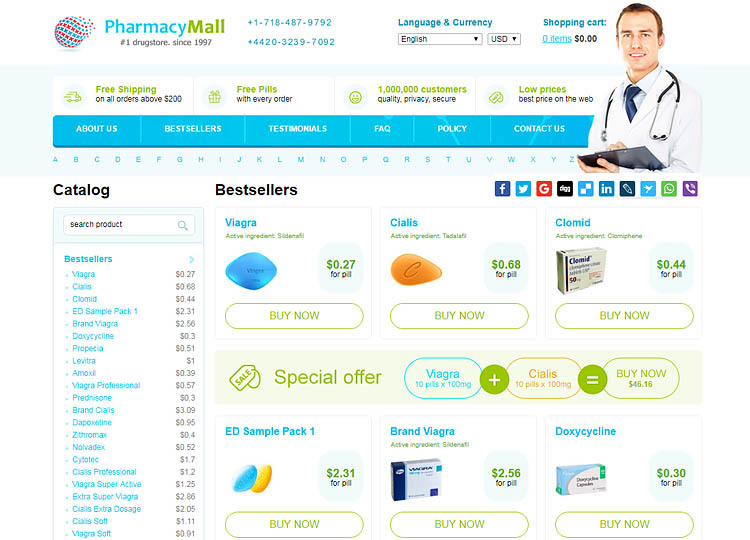 This pharmacy is a mirror of many other sites and naturally, this isn’t a good thing to find. There are a business name and address found on the contact page of the store. 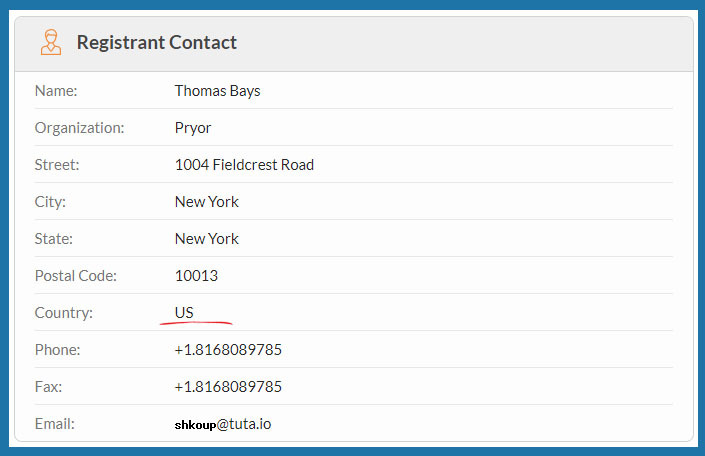 This contact information is completely different from the details contained in the domain name record. The business name and address found on the site is very familiar to us. 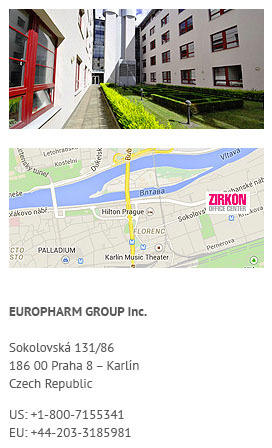 The business name ‘Europharm Group Inc.’ and the address in the Czech Republic are believed to be fake and are associated with a very large number of scam pharmacy sites. Since we have found they are using a fake address in the domain record, this one is unlikely to be real either. This business claims to be operating in the Czech Republic which is part of Europe. This means that in order for them to be operating this business within the law they have to be following the EU rules for selling medicine online. The European rules require that the common distance selling logo is displayed throughout the store. However, this logo isn’t anywhere to be found on the pharmacy’s site. They are therefore operating illegally. They also need to be registered with a Government agency that will oversee their operation to make sure that they stick to the rules to keep customers safe. When we check with a European Government database we find that they are not registered. When checking with LegitScript we find that they have given this store the rating of ‘rogue’. They also believe the site is operating outside of the legal requirements they should be following. 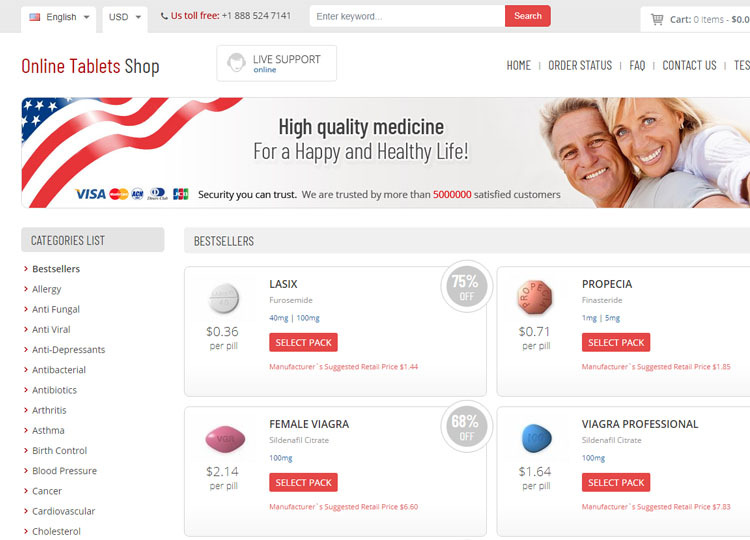 The medication available on the store are both brand name pills and generic varieties. 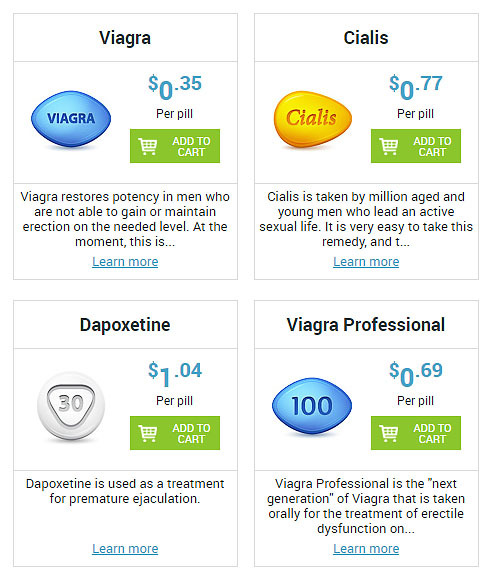 The range of drugs available in the pharmacy are fairly limited and it seems that their best sellers are mainly men’s health treatments. They say that the generics offered are of the highest quality but they don’t say exactly where the pills are dispensed from. There is a mention in the FAQ of the Indian FDA so it appears the drugs are coming from there. India is well-known for producing a lot of generic drugs but they are also known for the production of fake and counterfeit pills. Whether you get fake or genuine generic pills from this store it is difficult to be certain, but the lack of transparency should have you fearing the worst. This pharmacy makes no mention of prescriptions, they are, however, selling drugs which should be prescribed by a doctor. This lack of any prescription requirement is a strong indication that this store is a scam business which has no regard for the health and well-being of their customers. 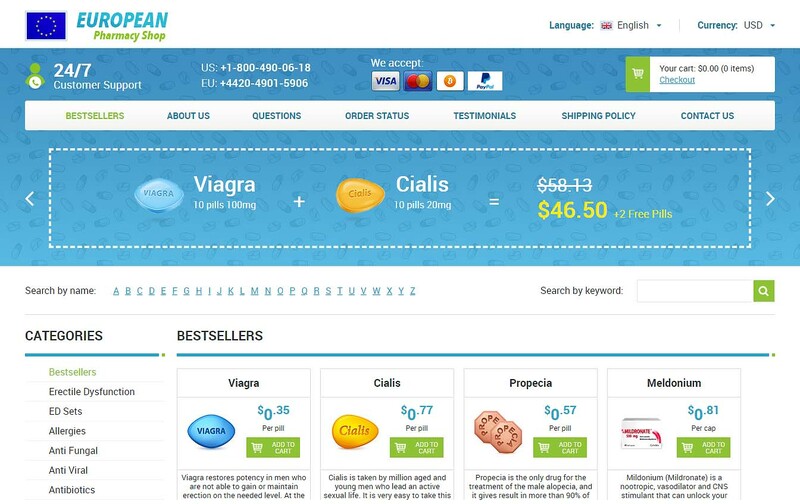 They even give away some men’s health drugs, with every order, which could kill someone with a heart condition. Of course, they don’t ask for a prescription for these free pills either. We haven’t been able to locate any decent discount coupons for this pharmacy. When ordering from this site you are redirected to a different site to make the payment and this is what normally happens with mirror sites. There is an option to use Visa but when you try it tells you that it isn’t available. The shipping options are EMS or airmail. The express mail service costs $24.95, provides tracking and will take 5 to 7 business days to arrive. The airmail delivery costs $14.95 with delivery in up to 4 weeks. Free airmail shipping is provided if you spend $200 and an order of $300 will get free EMS. They also try to charge you an additional $6.95 for delivery insurance at the checkout site which isn’t mentioned before then. You are unable to opt out of this surprise charge and exists despite their claim of re-shipping products for free. If you order from this store and end up having some complaints you may run into some problems getting it resolved. The options for contacting customer service are an online form, phone numbers and an address that is probably fake. Judging by what we have already found out it seems likely that you won’t get your complaints successfully dealt with. This pharmacy has a page for Discount-Tabs.com reviews and all the testimonials there give the store either 4 or 5 stars. Unfortunately, it is very clear that all of these customer feedback are completely fake. We have seen these comments and names on many other mirror stores. Additionally, the comments have the date they were posted. All of these dates are in 2015, which further proves just how fake they are because the site has only been online since 2018. There isn’t really anything good to say about this European Pharmacy Shop. They have no regulation, we have little idea where they are based and we only assume that the drugs are dispatched from India. 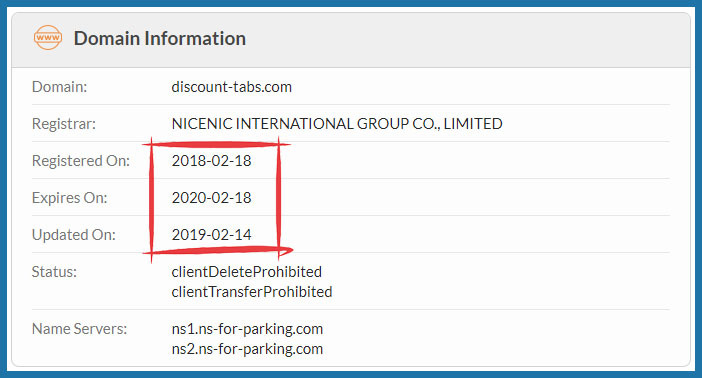 This is a mirror site which we have seen a few times before, using fake business details that we have seen many times before. It is not advisable to purchase from this scam pharmacy, 0.9 stars out of 5.